Mariko is travelling around Europe alone. 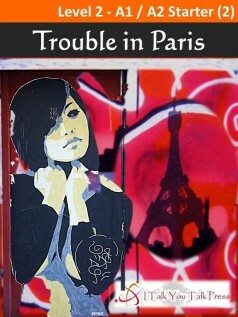 She is having a good time, but a mistake at the airport in Paris changes everything. Who is the man watching her at the hotel? Who are the men following her in the Louvre? Why are they following her? Mariko has no time for sightseeing. She has to do something much more important.